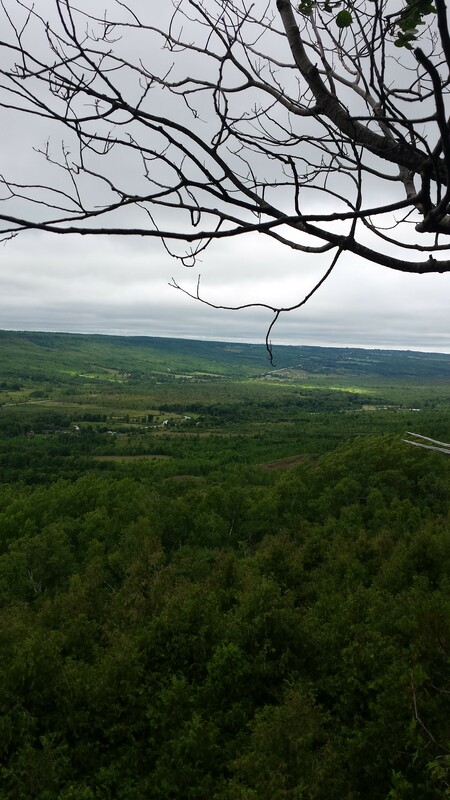 Although I visited this hiking spot on a grey, cool, and overcast August day, the views were still spectacular. 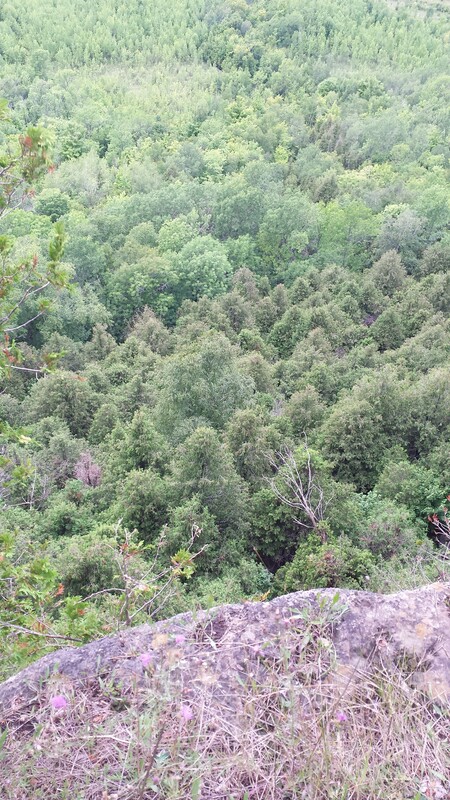 Old Baldy, a part of the Niagara Escarpment, rises 152 metres above the Beaver Valley (Grey Sauble Conservation, 2013). 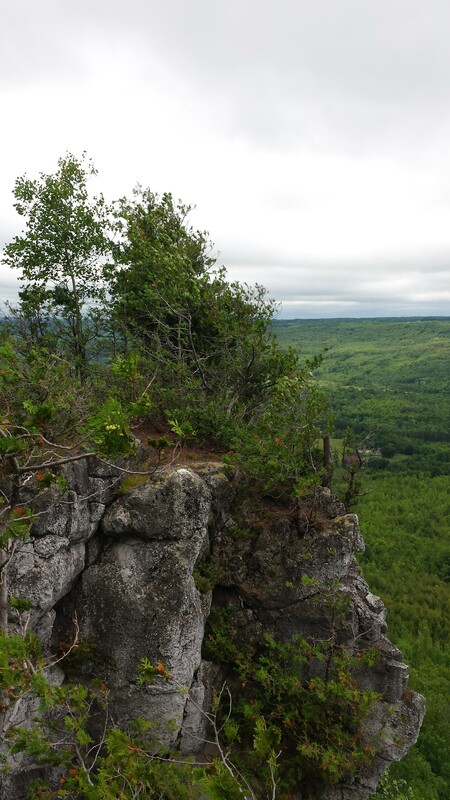 You have to walk about 15 to 20 minutes through open pasture and forest cover to reach the lookout point, but it’s well worth the occasionally rugged terrain (Ontario Trails, 2014). 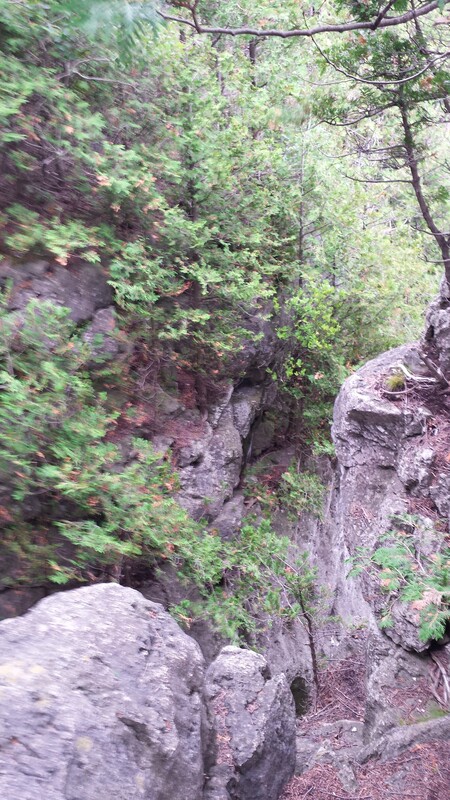 Rock climbers also use this spot, though a permit is required from Grey Sauble Conservation for this activity. Hikers can follow any of the trails – including the MacKirk Side Trail – by following the maps available here. 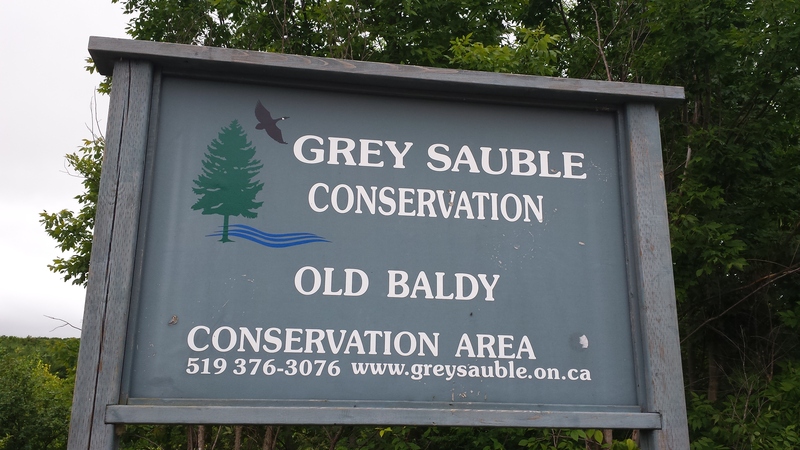 Old Baldy is also a part of the Bruce Trail, and nature views can include catching sight of turkey vultures and buteo hawks (Bruce Trail Conservancy, 2014). The day I visited, it was so windy that all birds were taking shelter somewhere out of sight. Cedars on a wind-swept, rocky outcropping. Looking down gives you vertigo! The sign at the trail entrance. Looking out over the Beaver Valley. Hard to represent distances in a picture; but it’s a long way down!